Fellow lovers of Nordic design living far away from Scandinavia will know the challenges in sourcing their favourite brands from this region. 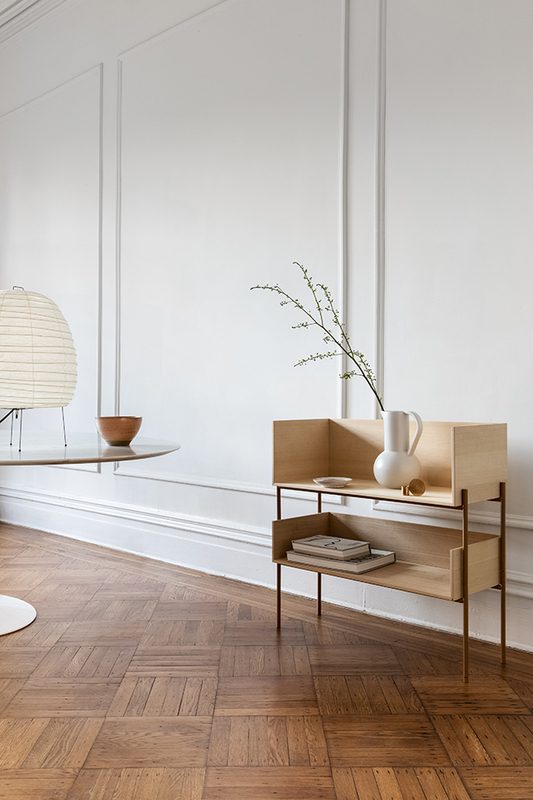 Luckily for those living in North America, there is Objects by Camilla Vest, a Scandinavian design source that carefully curates classic Nordic furniture, design and accessories for renowned retail partners, Hawkins New York, Design Within Reach and A+R. Showcased in a beautiful, lofty 1899 townhouse in the heart of Brooklyn, Objects is the exclusive US brand ambassador and wholesale representative for iconic Danish brands Skagerak, Brdr.Petersen and Skovshoved Moebelfabrik, which all come with that unmistakable Nordic twist - grounded in proud craftsmanship and simple, functional design. The amazingly versatile Vivlio shelving system designed by Included Middle, seen here with ash shelves and a cinnamon brown frame. Hot off the press, these images taken in the new Objects showroom feature pieces from the beautiful Skagerak collection. 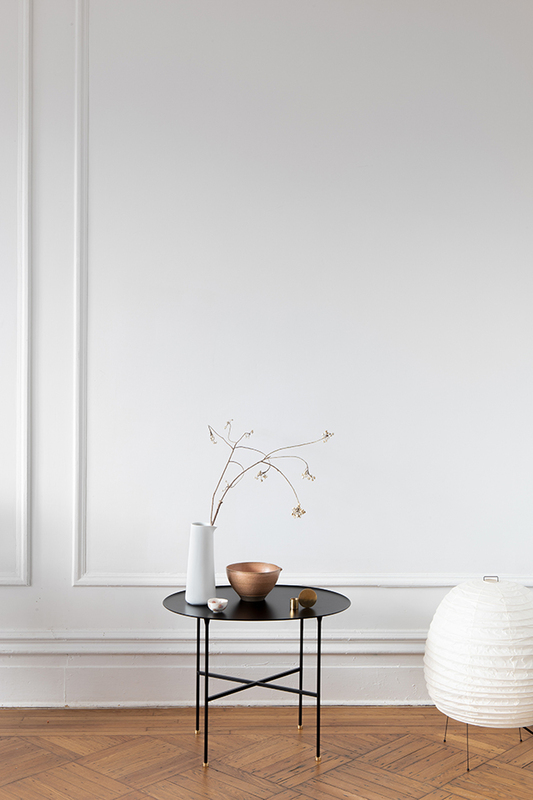 One of my favourite Danish brands who I had the pleasure of visiting in Copenhagen, their aesthetic is the quintessence of raw minimalism. The stunning Reykjavik Daybed designed by Included Middle is inspired by the colours and distinctive architecture in Iceland. 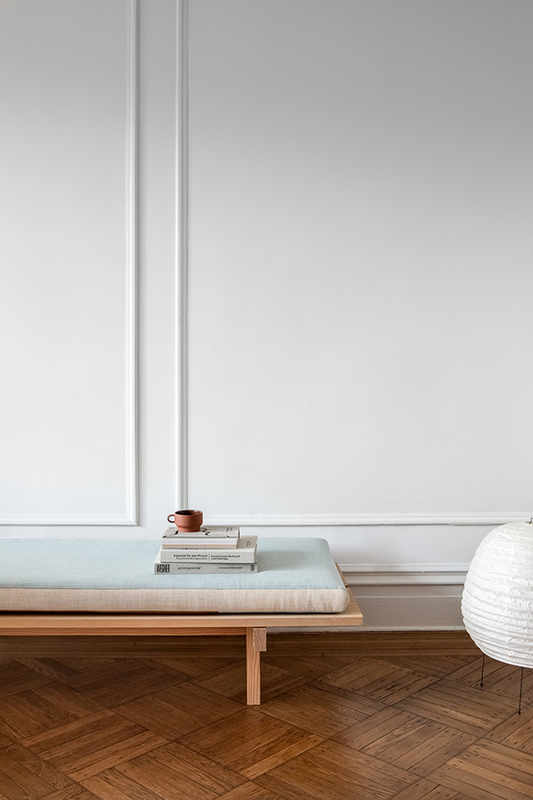 The bed frame is made from solid German Douglas Pine from Dinesen and the woollen upholstery is from Kvadrat. On the daybed is the terracotta Edge mug designed by Stilleben. 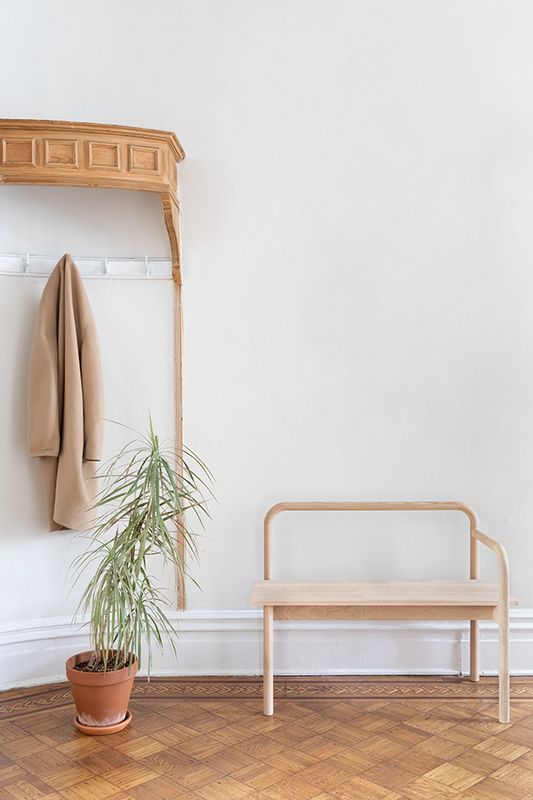 The Maissi bench is designed by Helsinki-based design duo Kaksikko and is inspired by old stair handrails and industrial machinery parts. The curved elements are made by laminating thin strips of oak over moulds and routing them into cylinders. Made from solid and laminated certified oak, the bench seats two people comfortably, while its narrow profile makes it equally suitable to living rooms and entranceways. 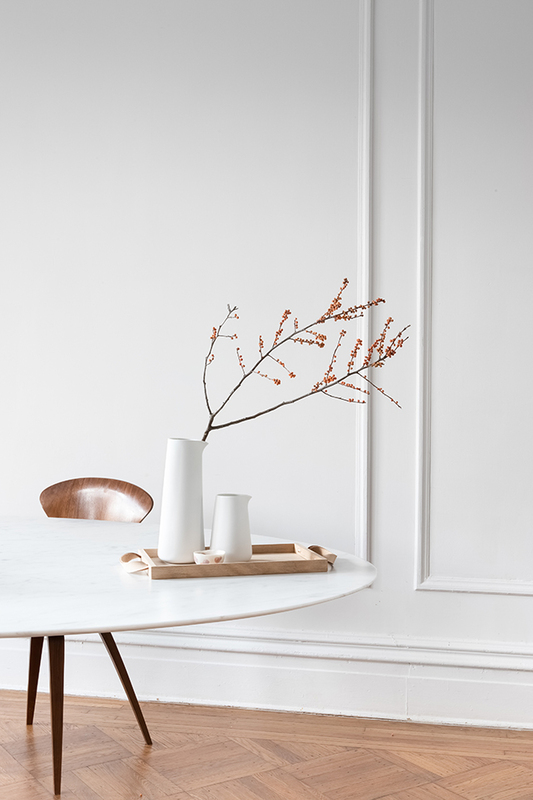 Born in Copenhagen, founder Camilla Vest has an innate appreciation for classic design and objects that are both functional and timeless. Having lived in New York for the past 20 years, the mother of two has also been influenced by her world travels working as a model, where she says she was always inspired by her surroundings. With a 'less is more' approach, Camilla believes it’s important to invest in unique pieces and create an atmosphere in your home that reflects your personal taste and lifestyle. I couldn't agree more! 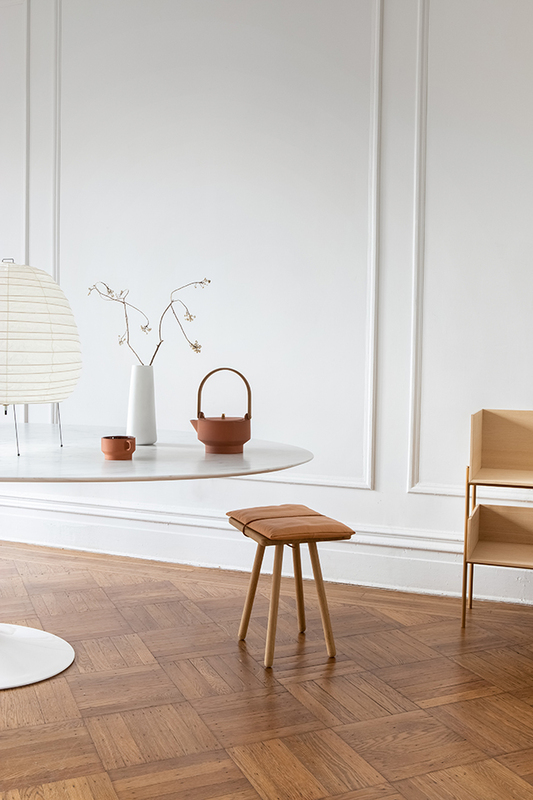 A former co-founder of Goods We Love, Camilla launched Objects in 2017 with a vision to celebrate the unique stories behind iconic Danish design brands, collaborating with coveted interior stylists and magazines to inject a touch of Scandinavian style into New York living. I also recently made the connection that Camilla is the sister of renowned interior stylist Pernille Vest (whose work I frequently feature). Such a talented family! The Nordic jugs (0.4L & 1L) sit on top of the Norr tray designed by Ditte Buus Nielsen. The tray is made from natural oak and features a simple, rectangular form. The tactile leather grip makes it easy to carry – perfect for servings in bed, on the balcony or around the fireplace. 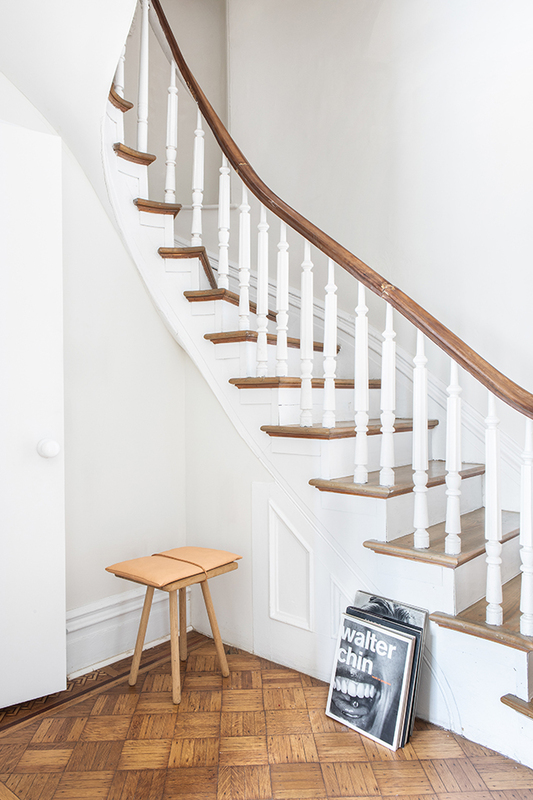 Beneath the beautiful staircase in the Objects Showroom is the Georg Jubilee stool designed by Chris Liljenberg Halstrøm - a fine example of where Japanese simplicity and Danish minimalism meet. The Brut Table designed by TAF Architects was born under the theme ‘petit’ which is easily recognised by its elegant and slender composition. Blank brass feet give the table a slightly exalted character. On the Brut table is the Nordic jug designed by VE2 which can be used for water, rosé, or as a vase for a bouquet of wild flowers. The Edge series designed by Stilleben is inspired by an ancient Greek-Egyptian tradition for craftsmanship. The outside of the terracotta pieces (teapot, mug and sugar bowl) retain their original matte finish, while the inside is glazed to ensure a sturdy and water-resistant surface. Camilla standing alongside the Brdr. Petersen Penguin Lounge Chair, an iconic Danish design from the 1950’s designed by Danish furniture designer and architect Ib Kofod-Larsen. The famed Penguin Chair series gets its name from the playful shape of its seat back. Inspired by the natural beauty of wood and raw materials the timeless, elegant lounge chair combines an oak, walnut or teak veneer seat back, with SoftArt Vacona Analine leather upholstery and a powder-coated steel frame. To find out more about the brands and stockists visit objects.nyc. Follow along on Instagram at @objects.nyc. I like everything, but I just love the Brut table. I wish I had the space for one... (It just so happens though, that it is the only one that doesn't really follow this Japandi fusion that the other objects do).